Disabled? You have worked hard your whole life. You would still work if you could, but you have an injury, disease, or other medical condition that makes where you just can’t work anymore. We know that you are under a great deal of pressure and really need help to provide for yourself and your family. Social Security Disability Benefits may be the answer: You may qualify for Social Security Disability Insurance (SSDI) or Supplemental Security Income (SSI). If you are disabled, then you should apply as soon as you can for disability benefits. You can’t do the work that you have done in the past. Your medical condition prevents you from being able to adjust and perform other jobs that are available in the U.S. economy. You have been disabled for 12 months or that you are expected to be disabled for at least 12 months. What is your biggest challenge? The challenge you face is that without the help of a skilled Social Security lawyer, it’s unlikely that you will be granted the disability benefits you need and deserve. 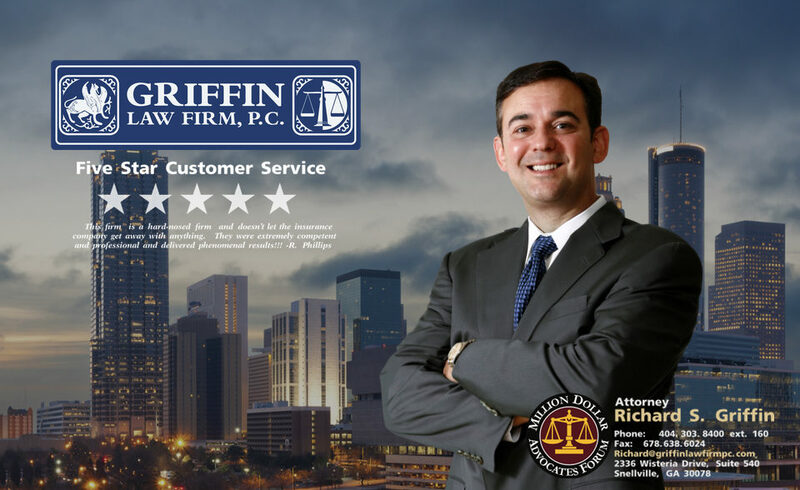 The Griffin Law Firm can make all the difference. We will fight for you to get you these disability benefits that you and your family need. It is well established that appeals are much more likely to be approved when you are represented by a Social Security Disability attorney rather than handling the case on your own. If you are denied your disability benefits, we can help. Most applications for Social Security Disability Benefits are initially denied. It is very important that you don’t give up. Our Social Security Disability attorneys will fight hard in your appeal which will greatly increase your likelihood of winning. Without help it is very, very unlikely that you will win your appeal. Medical Evidence: We will gather all of the needed medical reports. Appeal Filings: We will file your appeal or motion for reconsideration. Disability Evidence: We will gather any evidence of disability or work restrictions. Vocational Evidence: We will cross examine the vocational rehabilitation expert. Hearing Preparation: We will prepare you and all of your witnesses for any hearings. Litigation: We will present your case aggressively litigate your claim. What are the steps in the Social Security Disability claims process? File your claim: You can file your claim in person or online. Reconsideration: If you are denied, then you can appeal for a full review of your claim. The request for Reconsideration must be filed within 60 days of the date of your denial. Hearing: If your Reconsideration is denied, then your case can be tried in front of a Social Security Judge (ALJ) at a hearing. Appeals Council: If you lose your Social Security hearing in front of the ALJ, then you can appeal your case to the Appeals Council. This review board can issue their own decision, can send you back to the ALJ for another hearing, or approve the ALJ’s decision. Federal Court: If you lose your appeal to the Appeals Council, then the latest appeal would be to Federal Court. What is required to be eligible for SSDI? Disability: You must have a medical condition that prevents you from being able to perform regular work. The disability must also be expected to prevent you from working for at least twelve months. Limited Earnings: You are only eligible if you medical condition prevents you from earning more than $1,000 per month. Work Credits: You must have consistently worked and paid Social Security taxes for about the last 5 to 10 years. What are common reasons Social Security Disability (SSDI) cases are denied? Your application doesn’t have enough medical evidence. You are currently working. You are not eligible if you are capable of “Substantial Gainful Activity (SGA)” which is basically full time employment. You have job skills or a lot of education that would allow you to perform office work or other light duty type of work. You don’t have at least one condition that qualifies as “severe”. What are the most important factors determining if there is a job you can perform? Age: The general rule is that the older you are the easier it is to win your disability benefits. If you are older than 50, then you will likely qualify even if you can work sedentary work (sit down work). Education: The general rule is that the less educated you are the more likely you are to win your disability benefits. Vocational training and higher education means that there are a lot more jobs that you might be able to do. Work History: The general rule is that if your past jobs have all been very physical work, then you have a better chance of being granted Social Security Disability Benefits. Attorney Fee: How is the Social Security Disability lawyer paid? Our firm handles Social Security Disability claims on a contingency fee basis. This means that we don’t get paid unless we win your case. There is never any out-of-pocket retainer charged by the Griffin Law Firm for Social Security Disability claims. We receive 25% of the past-due Social Security Disability Benefits. This means we only get paid if we win your case. The fee is currently capped at $6,000 or 25% whichever is less, but can change with a change in the law. Free Consultation: Call us today so we can fully evaluate your Social Security Disability Claim at 877-529-7070 or 877-PAIN-LAW.